When it comes to the future of digital experiences, Adobe Summit 2018 is the place to be. This week, marketers, designers, strategists, creatives, executives and more from around the world are in Las Vegas to see the latest and greatest ways to deliver amazing customer experiences. The future of conversational commerce is on display in Booth 235, where LYONSCG and Capgemini are showcasing a number of interactive demos covering the technologies and strategies that drive engaging conversations between merchants and customers. Come by and learn how personalized selling through voice-enabled channels creates truly unique shopping experiences by learning and adapting to individual consumer responses. Conversational commerce aims to create memorable – and successful – customer experiences. This requires a detailed understanding of individual consumers and their behavior. 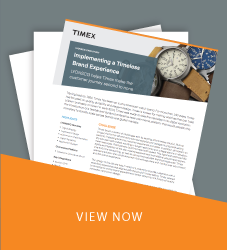 Today’s shoppers expect personalized, tailored, and integrated cross-channel experiences, and today’s merchants need accurate data and deep insights to deliver these experiences. 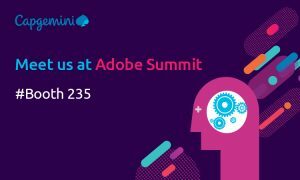 These needs are exactly what Capgemini Adobe Practice Lead, John Blackie, will address on Thursday, March 29 at 11:00am in his session, Let’s Talk: Conversational Commerce Gets A Voice (ID: S963). Attendees will learn about Capgemini and LYONSCG’s winning approaches to building voice-driven commerce strategies, and the capabilities required to address ever-changing customer behaviors and expectations, especially around AI and voice channels. Adobe Summit 2018 is one of the most innovative and forward-thinking events of the year. Make sure to schedule a meeting and come visit LYONSCG and Capgemini in Booth 235 to see conversational commerce in action and learn how we can help you realize your digital goals.